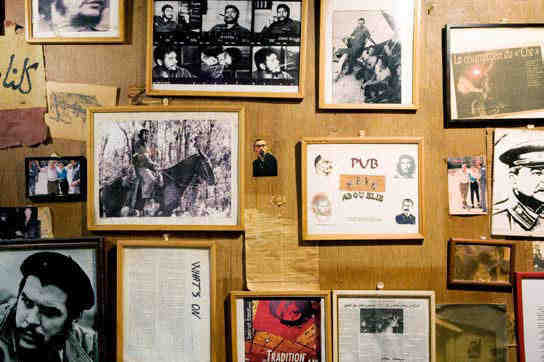 At Naya’s pub — known by regulars as Abu Elie’s — pictures of communists line the walls. Among them, Che Guevara emerges the hero. He’s in more than thirty photographs hanging in the space, which fits four tables and a wide bar. He watches from every corner: a dreamer in his military uniform, a worker in his bare chest, bewitching in his smile concealed behind a Cuban cigar. But at Abu Elie’s, he’s not the same Che as the one adorning t-shirts. Here, he rules by virtue of his intellect, not by the magic of his image alone. The customers here are revolutionaries in his presence. Abu Elie’s given name is Naya Chahhour. The story of the pub is the story of him. It’s the story of a fighter who committed to the Lebanese Communist Party and took up arms for the cause; the story of a host who, after “fighting hours,” spent his time greeting customers in the first restaurant he opened in 1975. Abu Elie was born in Achrafiyeh, Beirut, in 1956. In 1970, he applied for membership in the Lebanese Communist Party. He claims that it wasn’t strange for a son of Achrafiyeh, an area the right-wing Lebanese Forces considered its stronghold, to sign up for the red party. After all, his grandfather was an atheist who once took a barber’s razor to a comrade’s neck because he disagreed in opinion with Stalin; his father was also never far from the world of atheism: “If God’s there, he’s cruel; and if he isn’t there, why fear him?” In addition to the family, Abu Elie cites another reason for the Communist presence in the Saifi area of Achrafiyeh; it goes back to the historical relationship between Orthodox Christians and Russia. The local political spirit in Naya’s emanates from the photographs of George Hawi, otherwise known as Abu Anis. Hawi was the late secretary general of the Lebanese Communist Party and founder of the National Lebanese Resistance Front, which confronted the Israeli invasion of Lebanon and its capital, Beirut, in 1982. “I was one of the bodyguards in his personal security team for seven years. I used to eat, drink, sleep, and wake with him… That’s why… it’s not easy… it’s not easy!” Abu Elie says in reference to the news broadcast on June 21, 2005, announcing the assassination of Hawi by a car bomb not far from his home in Beirut. Abu Elie’s relationship with Abu Anis grew stronger in 1973, when Naya and his family moved from Achrafiyeh to Anis’s hometown, Btighrein, in the Metn area of Mount Lebanon. There, Abu Elie took up arms and fought with comrade units in the area. “I went with the party and with the Palestinian Resistance… We were allies. In fact, I guarded over Tel al-Zaatar camp.” By 1975, Naya was an active full-time member in the party. The same year, the civil war officially broke out. The young man was forced to flee from Metn to the Caracas district in Ras Beirut. The battle lines were openly declared and ideological and sectarian cleansing the norm. But Caracas was, and still is, an area of the sort of sectarian mix that is not “sectarian,” and at the time, was militantly leftist — hence, relatively peaceful. While in Caracas, the Chahhour family opened a tiny restaurant; he says it was even smaller than his place today. It consisted of three tables and served sandwiches, the legendary Lebanese minced raw meat dishes, marrow and tongue, complete with every kind of alcohol. The restaurant was managed by father and brother; the mother served food cooked at home. Naya helped out whenever he found time. His request to be “relieved” of his duties was accepted by the party one year later. Abu Elie spent his newfound time engaged in another routine with his comrades. Night after night, they would meet and weave stories from various memories. In 1987, the Syrian Army returned to Lebanon, reasserting its authority over the country. “I went on my own to Rmeileh [a Communist stronghold on the coast, just south of Beirut] … I was wanted.” Why? He doesn’t know to this day. Or so he says. Members of the Syrian Army took his wife and interrogated her. Next, they robbed his restaurant. They harassed him and made him understand that he was persona non grata in Caracas from that day forth. Did he kick out customers he didn’t like? Yes. “If I didn’t like the way someone looked, I would tell them, ‘The place is closed,’ or something like that. 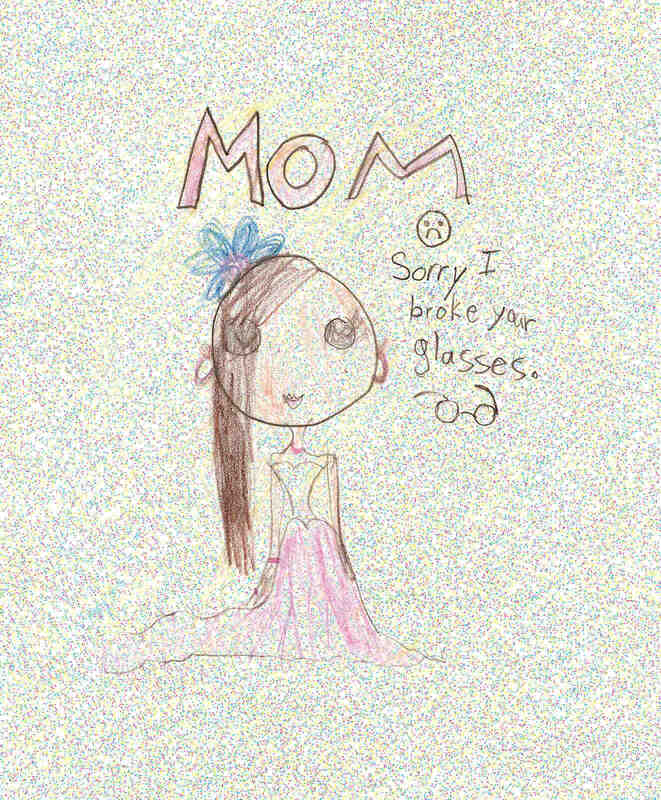 We used to ‘sift’ things, so to speak. To keep problems at a minimum.” Abu Elie tells things the way they are. Indeed, it is this equation that still rules in his bar today. In 1992, during visits to Beirut, he began to feel as though the Syrian veto on his presence had finally abated, until one day he sensed that it no longer existed. He found a billiard place that he fitted with a few tables and an abundance of mezzeh. Once again, he greeted his customers, in the same building where his bar exists today, the Yacoubian building, but on the other block. The Yacoubian building is immense — no one living in Ras Beirut can ignore it. Built in 1961 by architect and contractor Rafiq el-Muhib, the structure was financed through the People’s Bank of Russia. It’s one of a group of 1960s structures in Beirut — grand, architecturally unique buildings, such as the Gefinor building in Hamra. These monolithic structures benefited from a “single apartment” zoning law enacted by the then president Camille Chamoun. This law and Lebanon’s banking secrecy laws made Lebanon a haven for wealthy investors, bourgeoisie, and capitalists escaping Nasserism and the movement to nationalize assets in Egypt, Syria, and Iraq, and later Libya and other Arab countries. The new zoning law allowed single apartments in buildings to be sold as individual units, duplicating the sale value of the land in each story sold. The residents of Beirut called these individual units or apartments “bachelor pads”; they were sold to fleeing bourgeoisie and artists or rented to expatriate students or young, independent individuals. In 1994, Abu Elie moved from the billiard place to the space where the bar exists today. One side of the bar’s red visit card reads “NAYA’S PUB” in English and “Abu Elie” in Arabic, and on the other side is a single verse from the ninth-century bacchanal Arab poet Abu Nawwas: The wretched sought a vestige to call upon and I sought to call upon the town tavern. Abu Elie’s is the town tavern. Yes, today there are only nine rules. The original third — “The bar is officially closed on Monday” — was rescinded; the cancellation of this commandment is signed by the “Administration” and decorated with a photograph of Abu Anis. Abu Elie stands behind his bar, holding the paring knife that he uses to carve the space of the place, drawing borders around his memories. He slices a lemon, an apple, a kiwi, filling the small plates he generously spreads out before his customers, next to the pistachios, the lupin, the sunflower seeds, and Chinese mixed nuts. He will serve anything the agricultural season provides, many times home-cooked delicacies he has brought with him that day — dandelions cooked in olive oil, lentils or spicy minced raw meat — all of which are served with no charge to the customers. In Abu Elie’s etiquette book, this is the minimum a host can do for his guests. Regulars love Abu Elie and poke fun at his commandments, but few dare to cross him. They ask about his health, give him a taste of a new wine they have brought along with them. They reminisce with him, exchanging different versions of the same memories, as he brings to their tables whatever their bodies require to maintain their energy until the evening ends, even if that happens to be at dawn. When the electricity cuts, the candles and battery-operated transistor come out, and the evening continues without pause. Other souvenirs hanging on the walls tell of the civil war and its aftermath, the revolution of liberation and international socialism. Among them are two rifles left in Abu Elie’s possession after the rest were stolen from the bar. They hang in places of honor, objects of sentimental value not for sale, one an FM48 of Belgian make, with its bullets lying next to it, the other English. 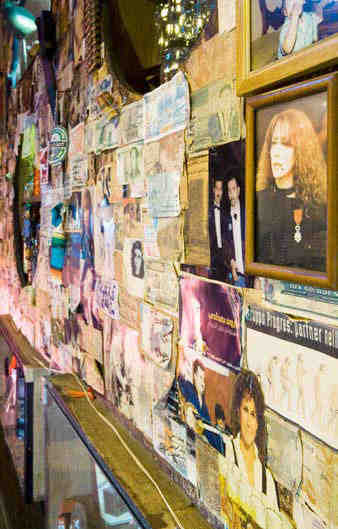 The “money” wall behind the bar was constructed over time with currency bills from countries all over the world, left behind by customers come and gone, oftentimes with notes to Abu Elie scribbled upon them.